DO-30800-24 was succesfully added to your cart. Is this material not autoclaveable? Do you have an alternative part number that is the same, but autoclaveable? The 45505-04 and 45513-09 are the same size but made of different, autoclavable materials. Are luer lock fittings rated for vacuum? or pressure? I apologize, but they are not specifically rated for vacuum or pressure. What is the difference between an "L" or "J" barb adapter? The "J" and "L" do not designate anything. They were mistakenly included in the product description. Please ignore those. I apologize for the inconvenience. What would you use with this Male Luer Adapter? Asked on 8/15/2013 by Al from San Diego, Ca. 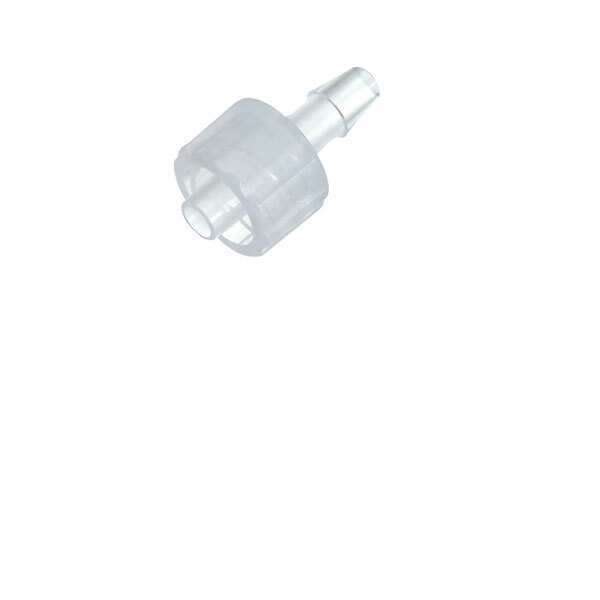 This is designed to connect to a 1/8" ID flexible hose, and on the other end, a female luer connector.